The Instant Pot is a great hands-off and easy way to make seafood or shrimp stock. 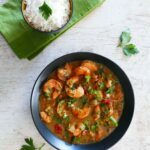 Use this Instant Pot Seafood Stock | Shrimp Stock for soups, stews, or any seafood dish including Cajun and Creole dishes like étouffée, whether you make them in the Instant Pot or not. If you’re making a seafood-based dish that calls for broth, skip the chicken or vegetable broth and use a homemade shrimp stock instead. The Instant Pot allows you to make this seafood stock without babysitting it like you would on the stove. 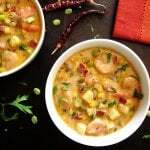 I use Instant Pot Seafood Stock for seafood bisques, stews, soups and Cajun dishes like étouffée and gumbo. – You can use any shellfish shells (e.g. crab, lobster) or even shrimp heads. 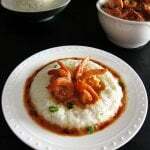 – I save the shrimp shells when I make shrimp dishes and store them in the freezer. Then, when I have enough, I use them to make stock – no need to thaw, I put them in frozen. – If you have the time, you can cook the stock for 1 hour and do a Natural Pressure Release (NPR). This will allow the flavors to develop even more. 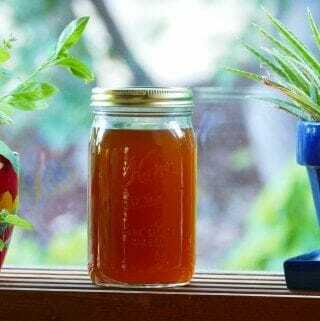 – Make a larger quantity of Instant Pot shrimp stock by doubling the recipe. ziploc bags in the freezer to use later. and aren’t familiar with how to use it, please read the Instant Pot DUO Beginner’s Quick Start Guide or the Instant Pot ULTRA Beginner’s Quick Start Guide first and then come back here to learn how to make this Instant Pot Seafood Stock | Shrimp Stock. Pour water into the inner pot of the Instant Pot. Add shrimp shells, parsley, celery, onion, bay leaves. Press ‘Manual’ (or ‘Pressure Cook’) and ‘+’ or ‘-‘ until the display reads ‘30′ (30 minutes). Select Pressure Cook mode and adjust the time to 30 minutes (00:30). The display will count down from 30 to 0; it will then switch to ‘Keep Warm’ mode and display ‘L0:00’ or ’00 00′ and begin to count up. Set a colander in a medium bowl and drain contents of the inner pot into the colander. Transfer the seafood stock to a clean jar and store in the fridge for up to 3 days, until ready to use. The Instant Pot is a great hands-off and easy way to make seafood or shrimp stock. Use the stock for soups, stews, or any seafood dish including Cajun and Creole dishes like étouffée, whether made in the Instant Pot or not. Pressure cook for 30 minutes and do a Natural Pressure Release (NPR). 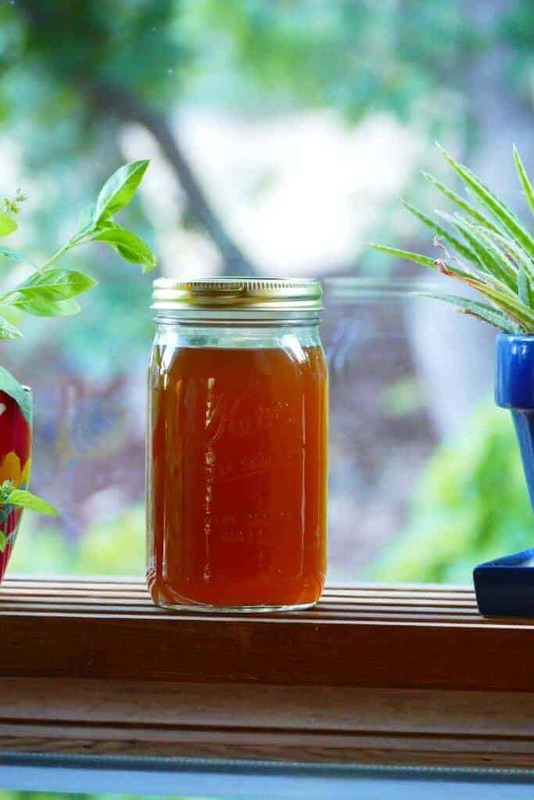 Transfer broth to a clean jar and store in the fridge for up to 3 days, until ready to use. Prep time does not include steps that are already accounted for in the ingredient list, e.g. peeled shrimp, cut vegetables, etc.